During the outdoor day-to-nighttime event, called “Birde’s Nest”, guests participated in a family dining affair draped in lots of beautiful floral arrangements dripping from an awning above. In another photo, she, mom Tina, Ashlee and Ashlee’s daughter Jagger Snow with husband Evan Ross posed. 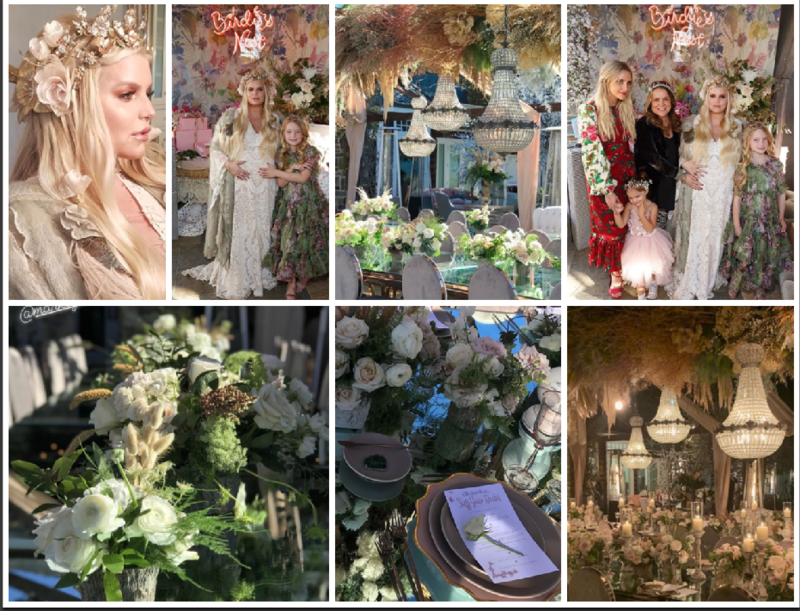 She Instagrammed storied a lot of the events while giving credit to the event designer, rental company and other vendors who helped make the gorgeous affair possible and look so heavenly! While she is catching some heat for the name, she is not the first celebrity to go with that name. E! Talk show host and actress Busy Phillips named her daughter Birdie after being inspired by the movie about Lady Bird Johnson. WWE wrestlers Brie Bella & Daniel Bryan also named their daughter born last year that as well! Totally Divas star Brie Bella and her fellow wrestler husband Daniel Bryan welcomed their first child together, a daughter. The couple named her Birdie Joe Danielson on May 8, a couple weeks from her original due date of April 30. The WWE wrestler, whose twin sister Nikki is also on the show and wrestles. She told E! the source of the baby’s name. In an exclusive chat with E! News on set, the mom-to-be also discussed some of the contenders that were previously in the running. They wouldn’t be the first with a daughter named Birdie. Cougartown actress Busy Phillips has a daughter with that name as well. She was featured in Fit Pregnancy magazine recently as well and her spinoff show with her sister Nikki, Totally Bellas, is going to start a second season soon. Both shows air on E! Trend Alert: 80s Acid & Stone Washed Jeans are BACK! I was in the mall the other day and realized that acid and stone washed denim was back in style. Whoa! How did I miss this during the last season’s international Fashion Weeks ready-to-wear runway shows? When I last saw that trend, it was the 80s and I was pretty sure back then that it would never make a come back. Never say never because the style has always been spotted on some of our Bellyitch Bumpwatch alums in recent weeks such as Hayden Panetierre, Busy Phillips, Kim Kardashian and Christina Milian. And some of the trendier maternity lines are up on it. They have acid and stone washed offerings for the preginista who wants to stay hip and current during pregnancy. And for new and veteran moms, many non-maternity brands are selling the trend too. Would you revisit the 80s and go there? Yesterday, we shared some selfies from some of the celebrity moms who we’ve featured in the past and it’s fitting on this Selfie Sunday that we post Part 2 and again, ask who is your fave? And she even has repped the half British version too. 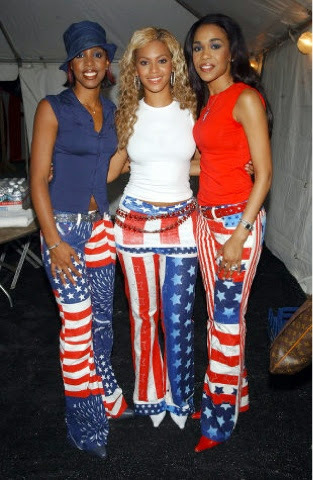 And then there’s Lady GaGa doing the bikini stars and stripes . While Busy Phillips and Meryl Streep went more sweet and demure. Our Bellyitch Bumpwatch alum actress Jessica Alba‘s The Honest Company hosted the 3rd annual Baby2Baby Holiday Party this past Saturday, December 14 in Cali. 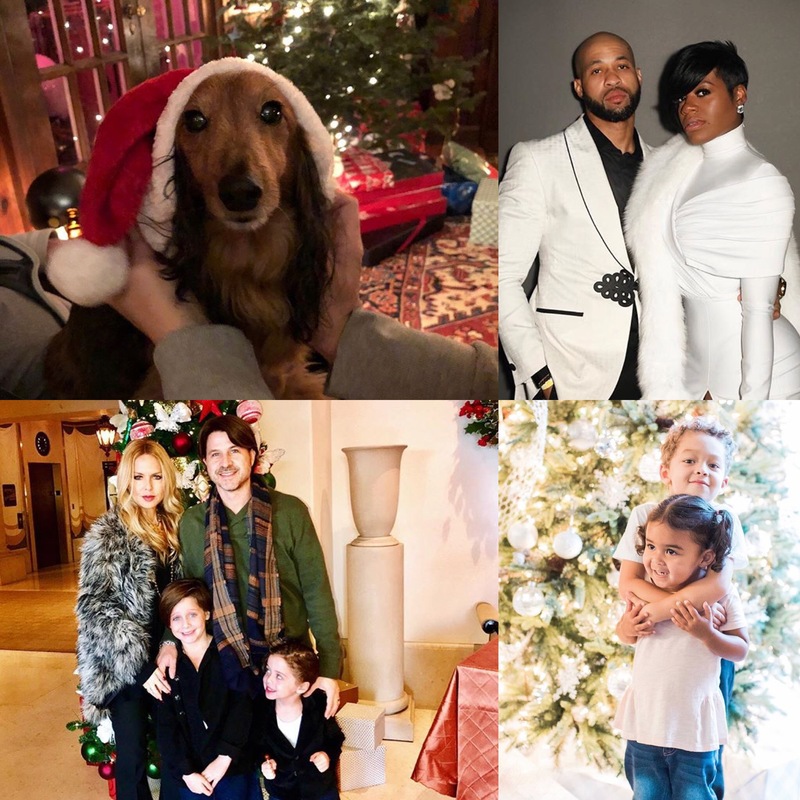 Current celeb moms-to-be singer Gwen Stefani and designer Rachel Zoe attended with their little ones as did recent new mom (again) Busy Phillips of Cougar Town. The charity collects supplies and donations that are given to low income families, including new mothers and their babies. Looks like a good time for a worthy cause. Oops she did it again! And in keeping with the theme of naming her offsprings animals in nature, Cougar Town‘s Busy Phillips has named her second daughter, Cricket Pearl, E Online revealed today. The Freaks and Geeks and and hubby, movie director, Marc Silverstein, named their first child Birdie Leigh. Not my first choice, but it’s unique and fits perfectly with the celebrity non-traditional names baby-naming trend. It’s weird people think my kids will be in therapy because of their names. Guys, my kids will be therapy for LOTS of reasons, I’m sure.